Remove the intake and exhaust camshaft sprocket. Refer to Camshaft Sprocket Replacement. Do not damage the sealing surfaces. 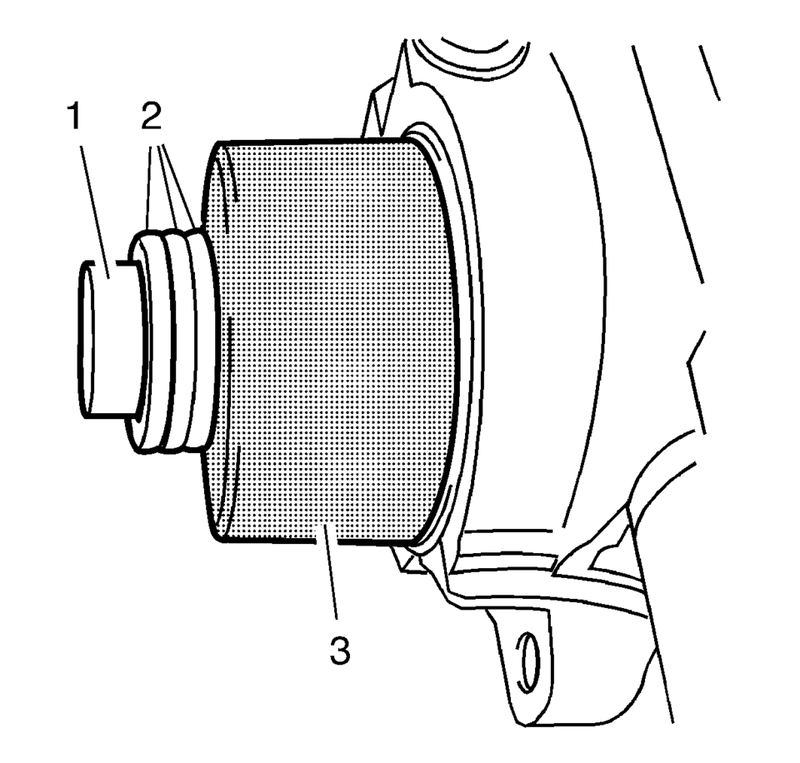 Use the EN-45000 remover to loosen the camshaft front oil seals (1). 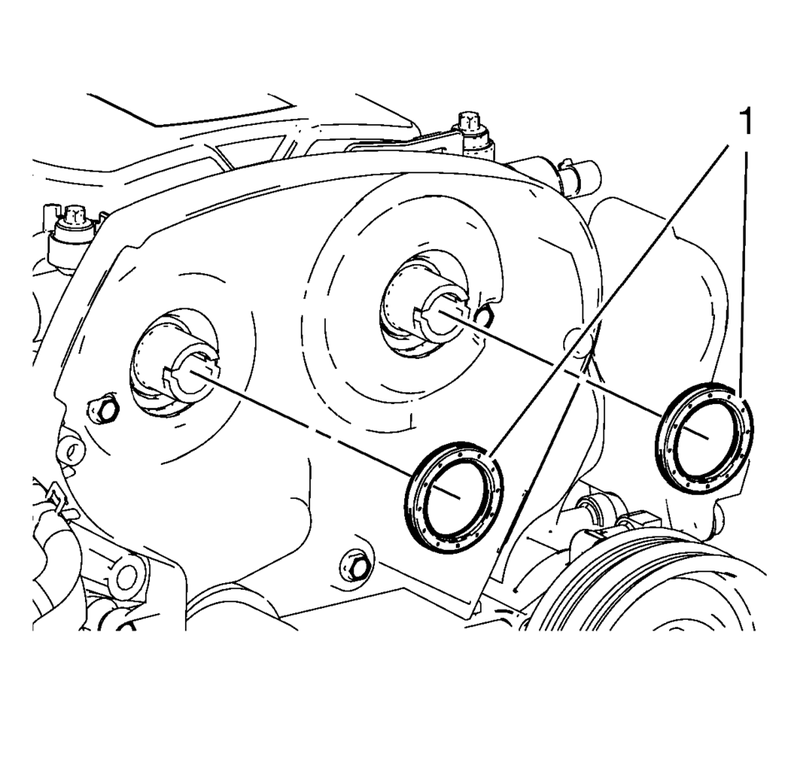 Remove the camshaft front oil seals (1). 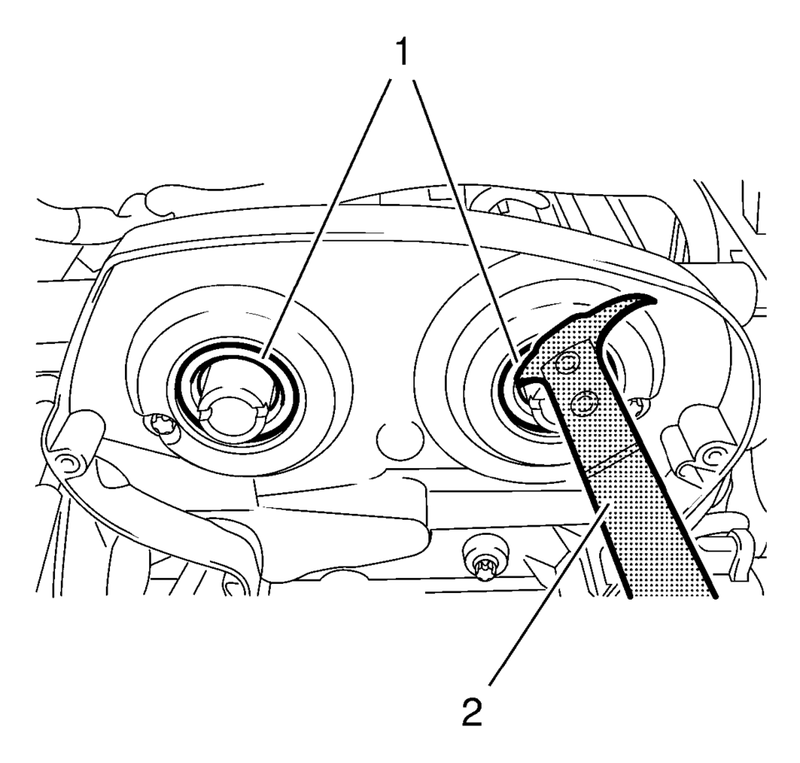 Insert 2 NEW camshaft front oil seals (1). Tighten the seal ring with EN-422 installer (3) on the camshaft until this is in contact with the cylinder head. To install, use camshaft sprocket bolt (1) in conjunction with shims (2) with a total thickness of approximately 10 mm (0.393 in). Install the camshaft sprocket intake and exhaust. Refer to Camshaft Sprocket Replacement.